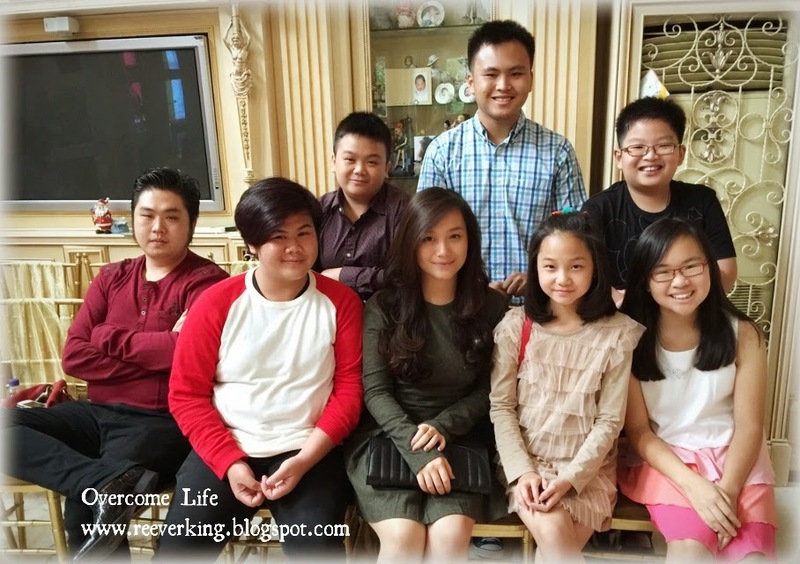 Overcome life: Yuan Xiao Jie 2015 Kuai Le!!! Happy Lantern Festival!!! Yuan Xiao Jie 2015 Kuai Le!!! Happy Lantern Festival!!! Today is the last day of Chinese New Year celebration, or also called Yuan Xiao Jie (元宵节), the 15th day of the first month of lunar calendar. How time flies!!! 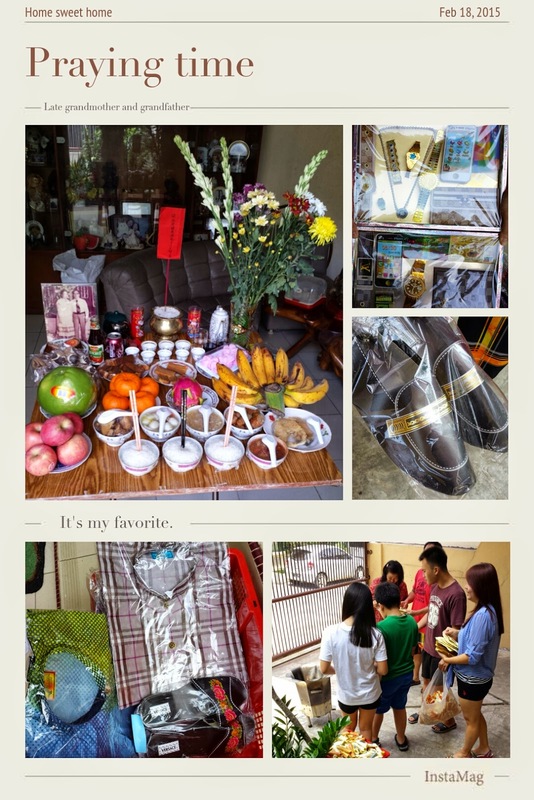 Turning back the time, I was lucky being able to celebrate the Chinese New Year together with my family at my hometown this year. Within the short 5 days, all of us tried to squeeze in many activities and spend valuable and quality family time together. We started our first day by praying to our late grandma and grandpa. As usual, we witnessed our parents preparing the food and drink to be put on the praying table since early morning. When the time was right, my parents would start putting their joysticks, and then followed by us. We gathered around the praying table, sitting there, chit chatting, until it was time to burn the money, clothing, shoes, gadgets in paper form, believed that it would reach to them in their afterlife. Thereafter, we had our lunch from the food we offered previously, as again, it’s believed that we’d be blessed by them by eating them. I did a very quick shopping afterwards at the nearby shopping mall, just a ten-minute walk from home. At night, our parents cooked many delicious foods for our reunion dinner. My brother and families were also going back from Singapore, while my eldest sister and her husband came and joined. We invited our close relatives for dinner and we spent our time eating slowly, chit chatting, drinking whiskey and beer, and let the night rolled by as more relatives coming up for visiting and reunion. At 11pm at night we lighted joysticks and prayed to the Gods outside our house. Even though it’s not passing midnight, it’s believed that the day had already turned into a new day!!! We prayed into the certain direction – west this year – as advised from the tong-shu – the Chinese tradition guide book – that my father loved reading. 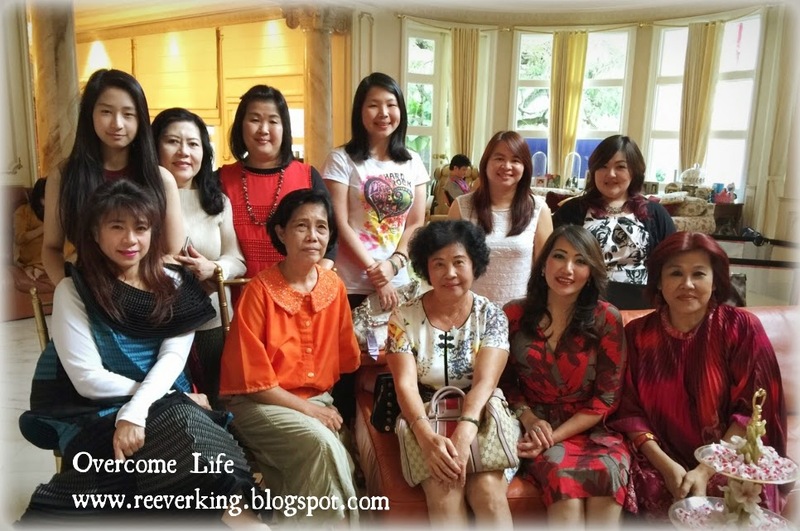 Once the praying was over, we started to greet the Chinese New Year greeting to the elderly. 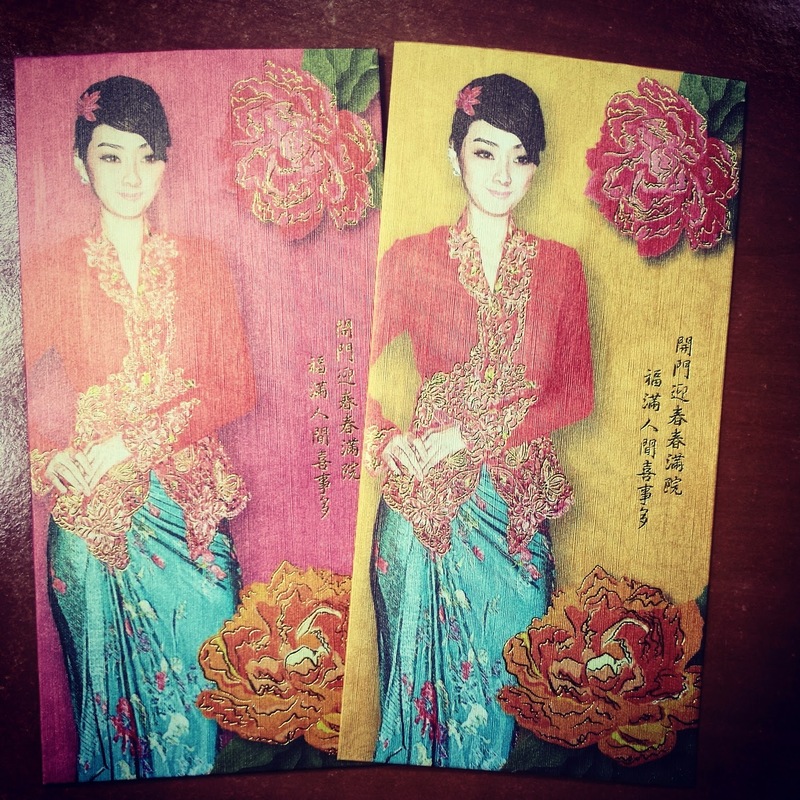 The passing of Hong Bao (red packet filled with money) would begin. The next day, our aunt and her families were the first ones visiting our house, as early as 6.30am. Again, based on the tong-shu, the visiting should be done before 7am and after 11am. To be able to get a greater luck, my father would do anything as per advised. Hehe… So once they went home, we all went back to our sleep again until other relatives were coming. I only woke up after 9.30am when they all had started having breakfast. We all ate vegetarian food on our first day of the New Year. Although no meat, my parents cooked simple but delicious Chinese vegetarian dishes. No mock meat was used. No garlic too. Even our non-vegetarian relatives joined us for the delicious meal. At 11am we started visiting our relatives’ house. This time, I was able to visit my mother’s sister and brother’s house. It’s quite a rare occasion for me to go to their houses. My father was having good mood too bringing my mother and us there. Other time, we just stayed at home receiving guests and went only to visit my father’s brother and sister’s side. So this time, I met quite number of relatives that I used to see only through Facebook and Instagram all these years. We went home about 4pm and took a good rest. In the evening other relatives came visiting our home. We had dinner in between before receiving other relatives again. Well, that’s about Chinese New Year! It’s gathering time with family members, relatives, catching up, chitchatting, and so on. Otherwise all of us would be occupied with our mundane daily tasks every day, busy ourselves with only work and study, or otherwise doing our own thing independently. Only in Chinese New Year we would put in more effort to gather as family, especially when all of us have grown up and stayed separately from our parents, sometimes even separated by countries. Only in Chinese New Year we would have more of that good luck vibration, energy, believe that something good and better would come in the upcoming year. 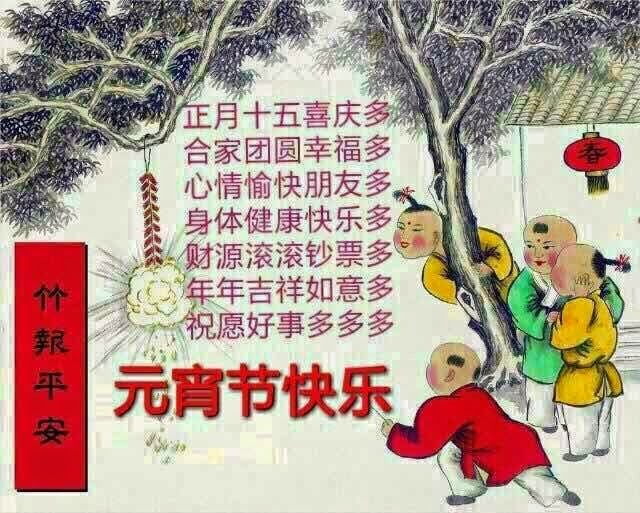 It’s the day where people give and take of their luck – in form of hong bao and greetings, where people would smile and laugh (try to get away from anger and sadness), and the day to collect new hopes and new beginning!!! And I really cherished that day!!! Thank you SB for everything!!! Thank you, thank you, and thank you!!! Wonderful new year had with your beloved ones back home. It's so pleasure to go through how you spent your new year with family and relatives. Am even amazed the way you all do offerings in the 1st day of the new year to the ancestors. May you all have another beautful life ahead. Wonderful :) I wish you a very successful year ahead, dearest madam. Love the way you weave your daily doings into beautiful lines. I need your blessings to try one :) Great day. Take Care! It's difficult to pronounce the new year in Chinese. lol. Jokes apart, I wish you a Happy New Goat Year madam. I read you did celebrate it interestingly and spiritually as well. Buddha bless all luck and happiness in this year. As always, a nice read, Rima. 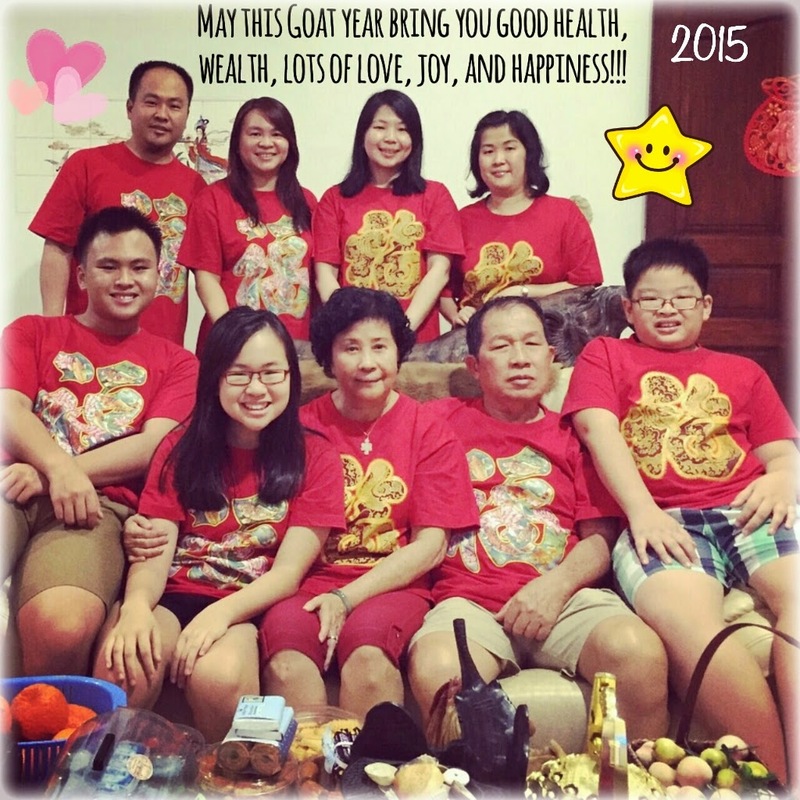 It's lovely to know how joyously u celebrated this Chienese New Goat Year.... Here, we call it "Sheep year".... It's a little different though. lol! Here too, it's an auspicious day for us..... It's believed that from 1st to 15th day of this month, Lord Buddha demonstrated a number of miracles to defeat his enemies and gain the confidence of his disciples.... I am glad that u have got the opportunity to reunite with you family in such a grand manner. God bless u and your family with everlasting happiness and peace... Wish u a happy Chinese New Year! Sounds very interesting.You are very much into many different kinds of cultures.You are kind of a blended and that's adorable.Happy new year to you and your family. 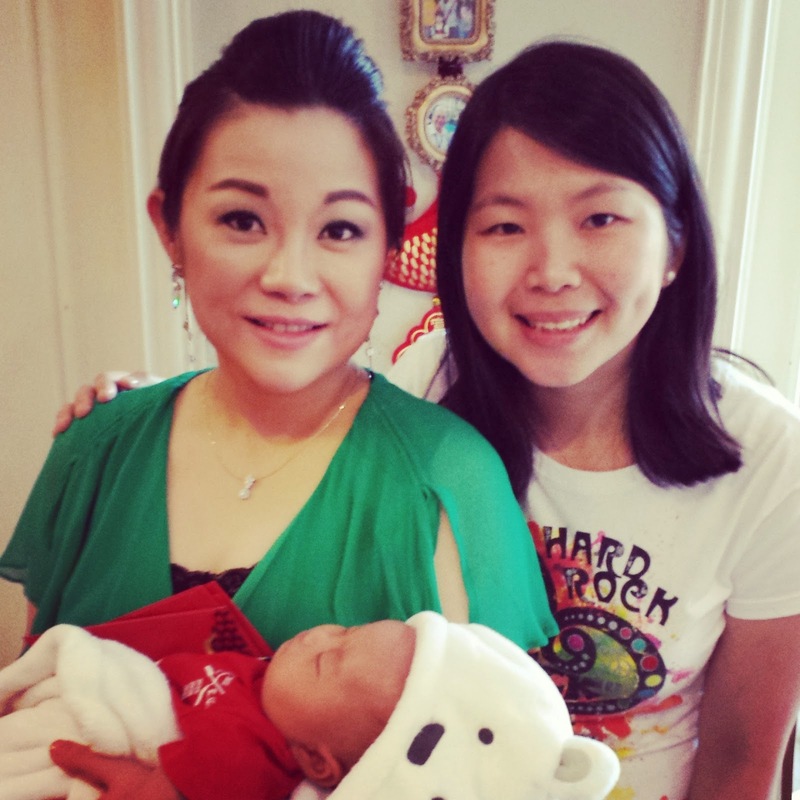 So much of warmth and blessing in your family. Blessed you are, I pray the same for you. Happy new year :) and wish you a awesome year ahead. The offerings on the praying table look a lot like the offerings we make here.